Tonight Dr. Morbius (from parts unknown) and mOw talk about the movies they watched this week. 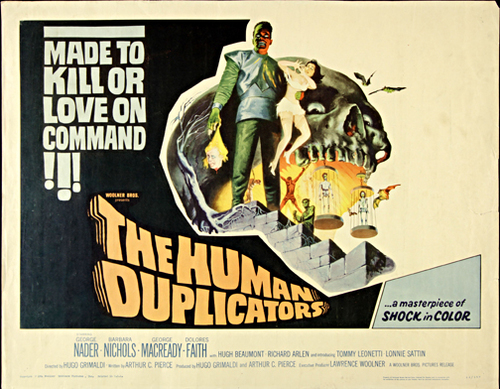 After that the Slow Robot team went back to the glorious sci fi genre to talk about the low budget 1965 classic The Human Duplicators. Did the slow robot team get duplicated as part of the evil alien’s plan to take over the earth? Tune in and find out! And while you are there laugh, learn and love won’t you? thank you. Tonight Dr. Morbius (from parts unknown) and mOw talk about the movies they watched this week. This week the Slow Robot team took a wild trip man. LIKE WHOA MAN… FAR OUT!!!! Did the Slow Robot duo take a hit of the “bad stuff” and lose their hair? Or did they just watch this movie and lose their minds? Tune in and find out! And while you are there laugh, learn and love won’t you? thank you. Slow Robot A Go-Go Show 292 – Some Call It “Bayou”, Some Call It “Poor White Trash”… WE Call It INSANITY! Tonight Dr. Morbius (from parts unknown) and mOw talk about the movies they watched this week. There is a reason that 4 of the 5 images below are of Timothy Carey… the reason is he was CERTIFIABLY INSANE! And we LOVE IT… did he ruin the film or just add enough spice to make this one spicy meatball? Tune in and find out! And while you are there laugh, learn and love won’t you? thank you. 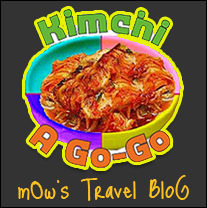 You are currently browsing the Slow Robot A Go Go blog archives for December, 2017.